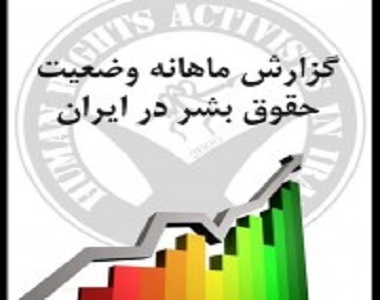 HRANA News Agency – The following is a monthly report summarizing the human rights status in Iran in September/October (Solar calendar, month of Mehr), 2014. This report has been prepared by the office of Statistics and Publications of the Human Rights Activists Association of Iran. Considering the ongoing suppression and ban on independent human rights activist organizations in Iran, this report may not be considered a comprehensive and complete reflection of the current status of human rights situation in Iran. It should be noted that the department of Statistics also publishes an annual report about the human rights conditions in Iran in the form analytical and statistical report.